A Company located in Dubai Business bay is hiring Drivers on very Immediate basis. Please visit us for face to face interview on 20th December. 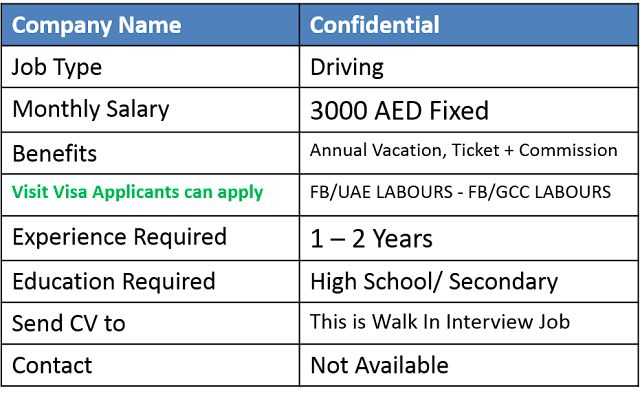 1: Candidate with minimum 2 years driving experience within UAE. 2: Must be a Manual driving license holder. 3: Knowledge of both English and Hindi is mandate. 4: Must be well aware of all locations within the U.A.E. 5: Age should not be more than 30 Years. 6: Only visit visa holders can apply. 7: English & Urdu/Hindi skills are must. Benefits: Air Ticket, Annual Vacation, 500 AED Commission based on Performance. 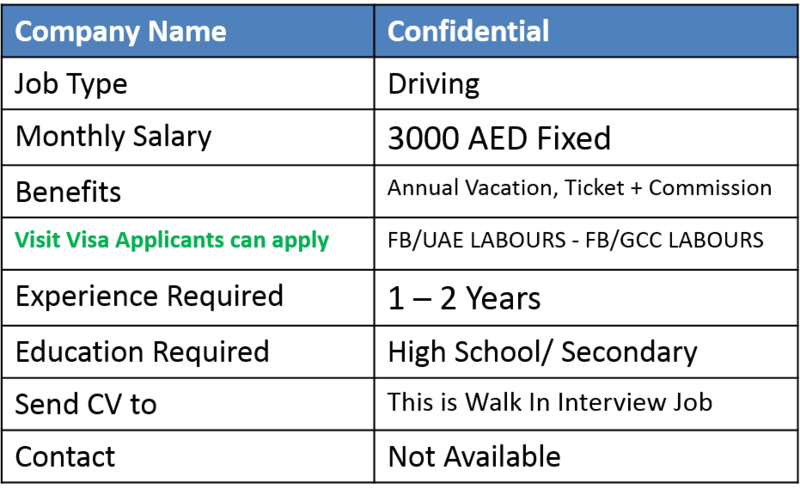 Interview Dates: 20 December 2016. Interview Location: ULTIMATE HR SOLUTIONS, Office No # 201, 2nd Floor, Hilal Bin Taraf Building, Adjacent to Business Bay Metro Station, Same building as Ocean View Real Estate, Sheikh Zayed Road, Dubai. Note: : It seems that the vacancies for above Driving Jobs is published by Recruiter. Please do not pay anyone for this Job, or pay on your own risk.